Despite exposure in Europe during his lifetime, Ghirri remained relatively unknown outside of Italy. More than a decade after his death in 1992, galleries throughout Europe presented his work, and Aperture published his first monograph in English. 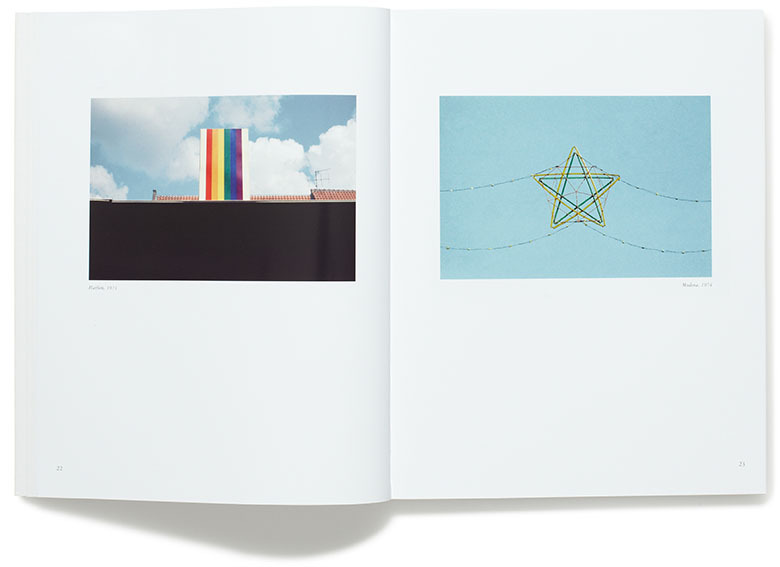 The emergence of color photography has typically been narrated through the pictures of iconic American photographers like William Eggleston, Stephen Shore and Joel Meyerowitz. The scope of this dialogue has only recently been expanded to include photographers working elsewhere during the 1970s and early 1980s. 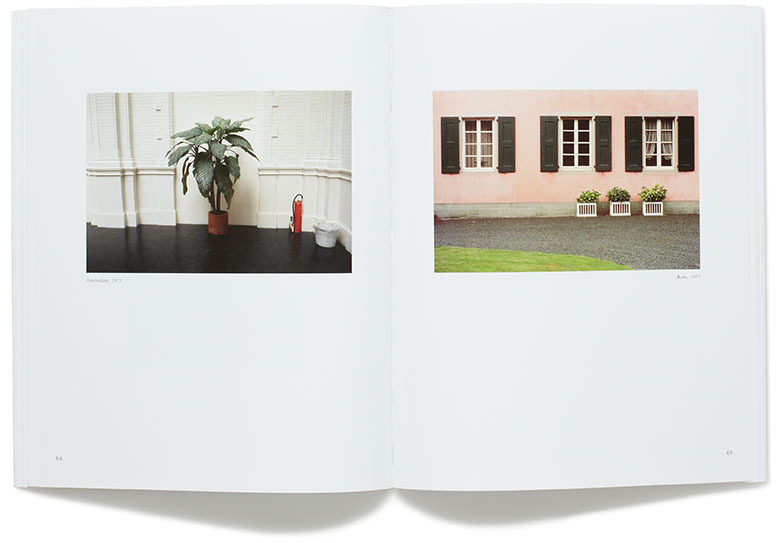 Italian photographer Luigi Ghirri is a favored addition to this revised history. Despite exposure in Europe during his lifetime, Ghirri remained relatively unknown outside of Italy. More than a decade after his death in 1992, galleries throughout Europe presented his work, and Aperture published his first monograph in English. This growing interest culminated in the last two years with a major gallery exhibition in New York, a retrospective at the MAXXI museum in Rome and the release of the second edition of Kodachrome, his seminal book originally self-published in 1978. Produced to coincide with the twentieth anniversary of Ghirri’s death, MACK maintains the book’s original design, text placement and image layout; new scans from original negatives showcase these pictures in piercing clarity and color. 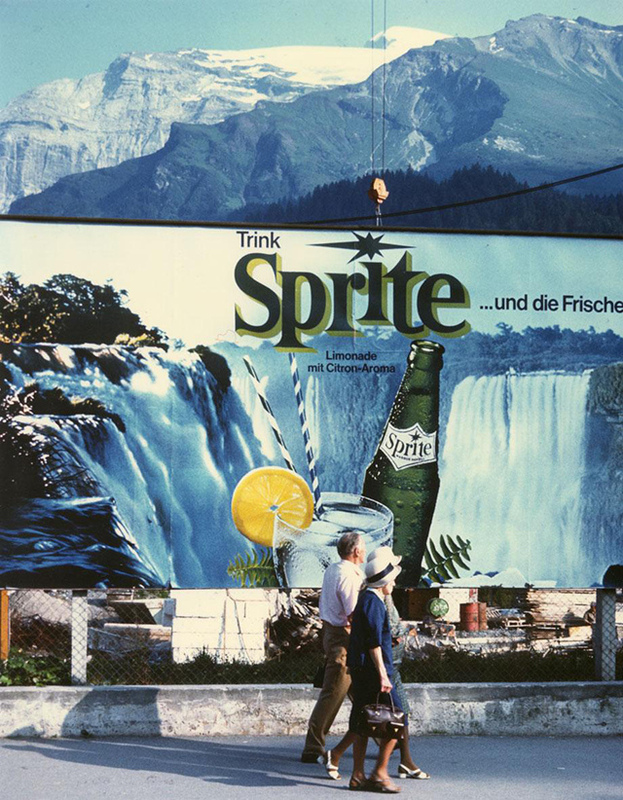 Ghirri produced color photographs at a moment when color images were largely associated with mass media: advertisements, billboards, magazines, and newspapers. His subtle juxtapositions throughout Kodachrome elicit questions regarding how we consume images. Ghirri handles the camera as a visual anthropologist, roaming the landscape to capture various facets of daily experiences. Form, composition and color coalesce to simple, but exquisite effect in Ghirri’s understated photographs. His deadpan approach verges on the snapshot, offering a sense of immediacy and accessibility. And yet, there is a highly aestheticized manner of framing these everyday scenes; while very much about the commonplace, their execution remains adeptly deliberate, cropping and editing the information available in the photograph’s frame. 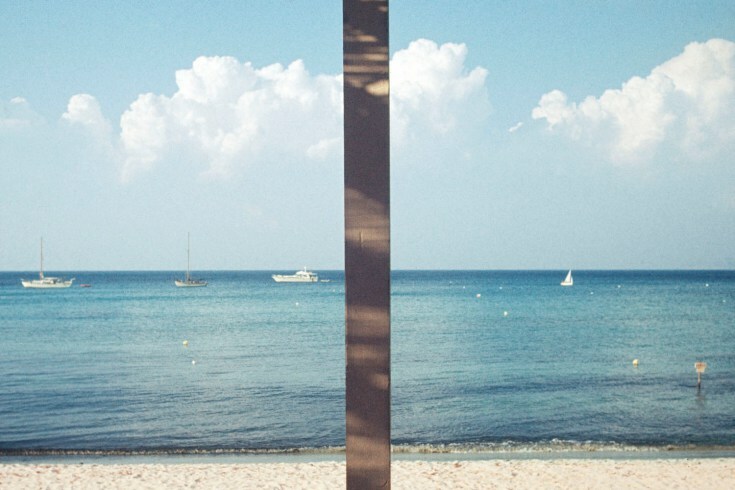 Quiet vignettes of beaches, parks and homes are integrated with images of advertisements, television screens and other scenes intended to imitate the real. 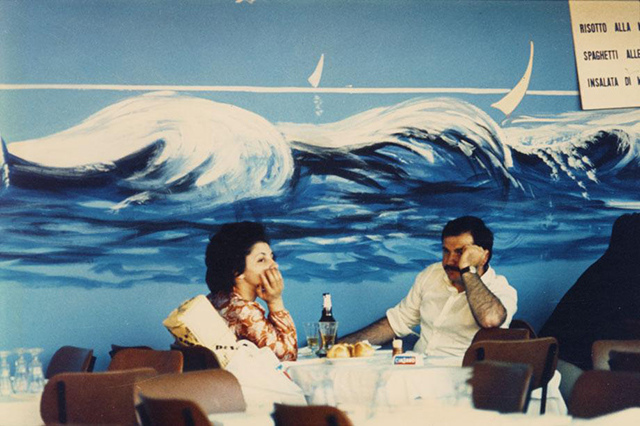 While the distinction between real and reproduction is at times overt – a couple sits in front of a mural depicting undulating waves – other times, this separation is unclear. 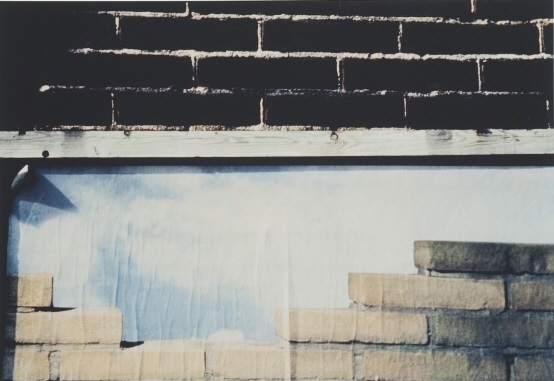 A painting of bricks appears right below the real thing in Egmond am zee (1973). 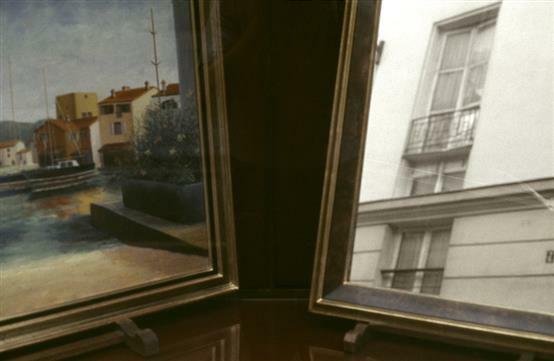 Paris (1977) contains two seemingly identical picture frames, one containing a painted landscape, the other a sliver of the outside world. Through both individual images and witty sequencing in Kodachrome, Ghirri’s tactic feels almost instructional, guiding us how to look and see when things are not always as they seem. While Ghirri’s pictures may illustrate a comparatively quaint and peaceful Europe during the 1970s, the underlying premise remains relevant. Facebook, Instagram and Flickr – alongside more pervasive media penetration – render lessons about looking carefully timely. These images encourage slow, contemplative looking, a practice practically foreign in an era more suffused with visual information than ever before. Allie Haeusslein received her MA in Contemporary Art from the Sotheby’s Institute, London, focusing specifically on late twentieth-century art in California. Her writing regularly appears in publications including Art Practical and DailyServing. 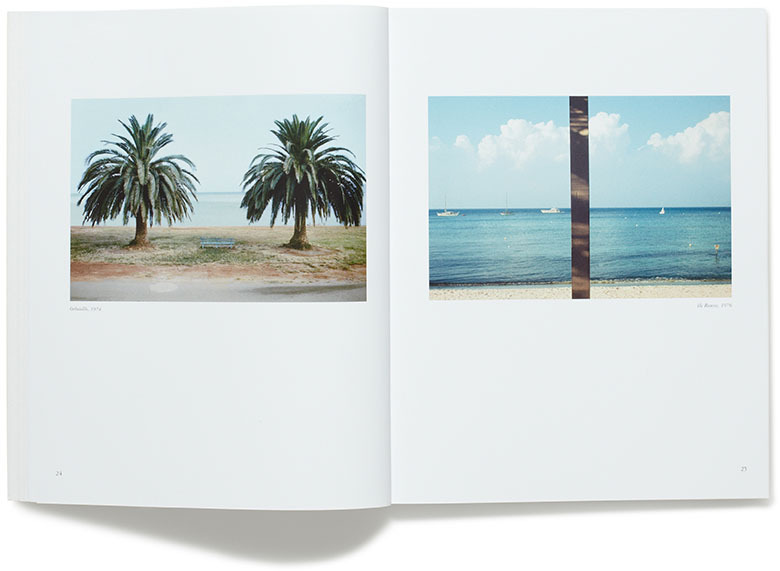 Most recently, she contributed an essay to the monograph, Chris McCaw: Sunburn. Haeusslein is the Associate Director for Pier 24 Photography, an exhibition space dedicated to the presentation of photography. 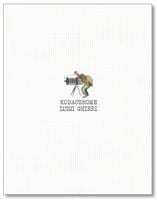 Posted in Highlights, Reviews and tagged Allie Haeusslein, Archive Highlights, Book Review, Color Photography, Italian Artist, Italy, Luigi Ghirri, Pier 24.